How much ever regularly one might visit a salon there would days in every one's life when we end up having unkempt eyebrows and a pair of good tweezers always comes in handy on such days. 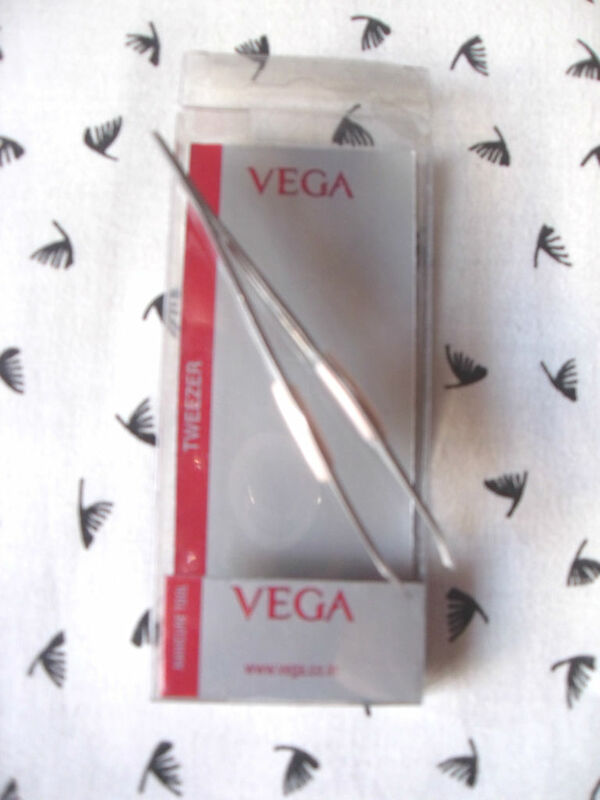 Vega stainless steel quality tweezer with hand filed flat tip with non-slip grip are the choice of make-up artists, models and even celebrities. Tips are hand polished and perfectly aligned to grab the hair every time. Compact size for purse or travel. Price: 85 INR on Vega but I purchased for 65 INR on Urbantouch. Metal: Stainless solid steel. Looks very sturdy and stylish :). It comes with a tiny plastic cap to hold the tips while storing. Grip: As claimed the plastic rubber grip prevents from slipping giving extra hold while plucking. Tips: Precisely cut to give neat tapered edges having the right sharpness needed to tweeze without poking. Package: It comes in a plastic casing as in the picture. It has Usage Instructions, Beauty Tips, Care Tips and Caution mentioned clearly on the pack which are very helpful. Usage: I have followed the instructions as given on the pack and ended up having neat eye brows. These tweezers pick up the tiny hairs well without much effort. The pointed tips worked well to remove ingrown hair on legs. Final Note: If you are very happy with your current pair of tweezers I wouldn't advice you to buy this for there is nothing extra-ordinary about it other than the stylish looks and comfortable grip. But if you are on a look out for a good tweezers then buy this without any second thoughts.